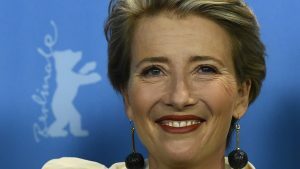 British actress Emma Thompson has quit an anticipated film produced by California’s Skydance studios because it hired former Disney creative director John Lasseter, who is accused of sexual harassment, her publicist told AFP Tuesday. The two-time Oscar winner was to voice one of the characters in the much touted animated film “Luck,” and had already begun recordings, according to the entertainment news site Variety. The post Actress refuses to work with ex-Disney animation chief over harassment accusations appeared first on SABC News – Breaking news, special reports, world, business, sport coverage of all South African current events. Africa's news leader..